A new teaser video for the vivo V15 and V15 Pro has surfaced and this time it’s not a leak, it was published by the company’s official account. The focus is, once again, triple camera on the back, which will have 48 + 8 + 5MP sensors. The pop-up selfie camera isn’t featured in this short clip, but it's the star of this older video. 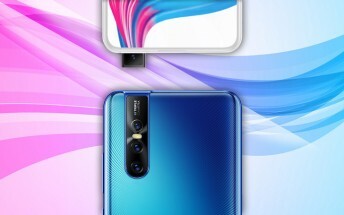 It has an impressive 32MP sensor and keeps the screen notch free (and there’s a fingerprint reader built into the screen). The vivo V15 duo will be unveiled next week - February 20 and pre-orders should open up right away (the expected price is $350/€305).